bld architecture is retained by Forest City Ratner Development to serve as the base building architect on approximately 400,000 gsf of retail development at the Nassau Coliseum site. Working in collaboration with SHOP architects, this project will support the various entertainment programs envisioned at the newly renovated Coliseum. 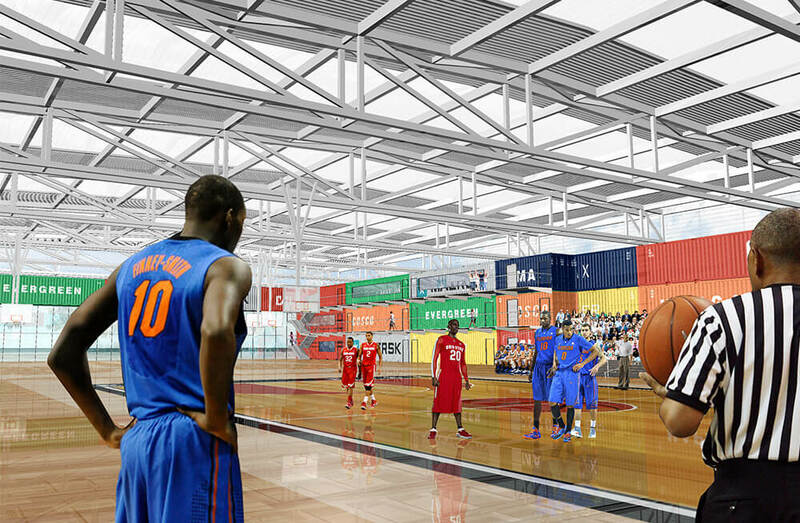 As a part of the development bld architecture is designing a number of recreation and entertainment-oriented facilities. This 50,000 gsf building is being design for league basketball events and includes 6 practice courts and one regulations court. 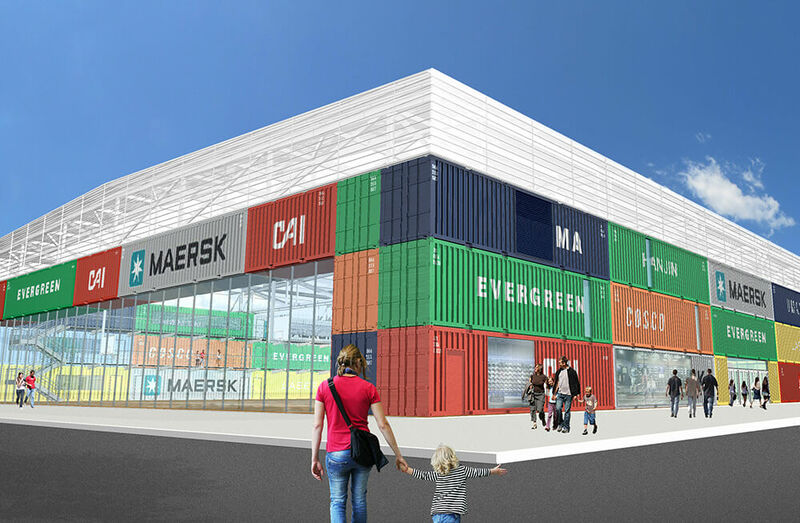 The building structure and program utilizes shipping containers for the perimeter wall with glass curtainwall end wall and an undulating, translucent ETFE membrane roofing structure.